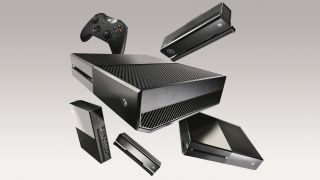 The Xbox One isn't the slimmest thing we've parked under a TV, and you can't help but wonder why it's bulkier than its predecessor, the Xbox 360, and the PS4. After all, it's not like Microsoft just threw together the first design it came up with; there were 75 prototypes built before the designers landed on the one they did. So why is it still so hefty? Part of the answer came from the console's lead designer, Carl Ledbetter, who explained the design choice to MCV. "Everybody gets frustrated, because what we want is for everything to be wager thin, not get hot and just be a snap to put together," Ledbetter said. "But the reality is that there are very real issues around cooling when you're pushing some number of watts in the processor, therefore the thing has to have some size to it. There's always an interesting dynamic between engineering and design". Ledbetter went on: "We know people put it in bedrooms and other places, but we have designed this for a living room environment. We know these people are going to have a good-sized TV that is probably a flat screen, it is probably high-resolution, so it is optimised for all those conditions. "It is also optimised for gamers, but because you can do so much more on Xbox, we made it simple enough for anyone to use. It is not off-putting and it's not this [invasive] thing in the living room." Ledbetter also revealed that Microsoft built over 200 Xbox One controller prototypes before arriving at the final gamepad, and while the team are clearly proud of what they've produced, Ledbetter said that there was a lot of learning from past mistakes: "An example of something we got wrong was the first Xbox controller. It worked, but it wasn't the right size for people." 12 months on, has the Xbox One recovered from its shaky start?